Heating & Air Conditioning Repairs, Maintenance, Replacements & Installations. We are proud to be a Bryant Heating & Air Factory Authorized Dealer. 100% Guarantee. Southeastern Air Conditioning and Heating repairs all makes and models of air conditioning and heating equipment. Our factory trained and authorized professionals have the experience, skill and knowledge to diagnose and fix your air conditioning and heating problem the first time. We are a highly rated company with 100% customer satisfaction guaranteed. We recommend Bryant Heating & Cooling Products. Contact us today for your appointment! 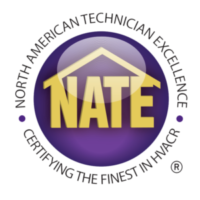 NATE, North American Technician Excellence Inc., is an independent, third-party non-profit certification entity. This certification tests real world working knowledge of HVACR systems. These tests are rigorous, multiple-choice, knowledge-based tests and known to validate a technician’s knowledge. As a part of this testing, we earned the NATE certification. Our goal is to provide the best technicians in the industry so that our customers can feel assured that they are received the best service, repairs, and installation. Contact us with any questions or to schedule your heating and air conditioning appointment. Southeastern Heating & Air Conditioning provides Great service!! They always respond in a very timely manner and do everything in their power to take care of your problem. Their technicians are very professional & respectful. Beau & Chris did a great job and cleaned up when they were finished. This company called us back immediately when another company never called or showed up for there appointment. I would say call this honest company!!! Prompt, courteous, and professional. 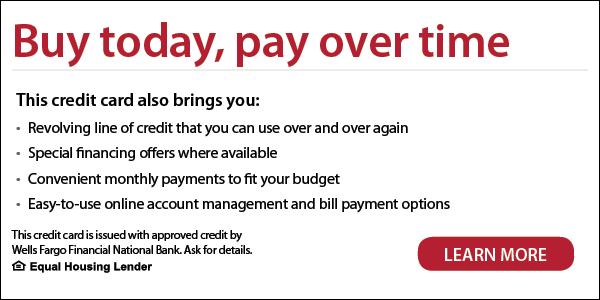 I have used them for severall years and they always go above and beyond. Excellent customer service. Technicians arrived on time. They covered their shoes and, being familiar with my house, promptly went to work. They cleaned, inspected and replenished as necessary. They reported in detail all findings. "See you in six months or call for any problems". They departed with no evidence of their presence other than all systems in order. Typical encounter with Southeastern Heating & Air Conditioning. Highly recommend! Did an amazing job! We needed to redue our HVAC in our house and I had previously called a different place to get an estimate. The other place came out and then Never got me an estimate or every called me back after 3 calls and 1 month later! So I looked up on Angie’s list and saw Southeastern’s reviews. They came out ASAP and I had an estimate within 24 hours with no prompting. They set up the appointment for details on their plan for the systems according to my convenience and as soon as was available for me. They set up the schedule on starting the project according to my schedule and as soon as available for me as well. The workers did a wonderful job! They worked fast and efficient. They even ate lunch on the job to speed it along! They ended up finishing a day ahead of schedule and cleaned my house everywhere they went (I would say above and beyond). I could not have asked for a better company. The system is working great!!! Highly recommended! Pricing was right were I expected! Punctual, thorough, friendly, competent and very reasonable. What more can you ask for? Talk about quick service--I had a perceived problem in the morning and a technician was in my house by 1 PM. Diagnosed the problem, briefed me very nicely that it was actually operator error and was on his way. Told me I needed to get a magnet., so if there any around would someone drop it off. Good job and thanks. They responded quickly to our emergency and were fairly priced. As a out of town home owner, it is good to have a company we can trust. Pat and his organization do an excellent job. We've used them for semi-annual check ups as well as major work. They keep their appointments and perform their work in a professional and competent manner. Prices are reasonable. I recommend highly. I highly recommend Southeastern Heating & Air Conditioning. Very professional technicians, prompt service, honest and very reliable. I love working with this team of pros!! Don't even think about it, call them for all your A/C needs.